Our beef is always 100% grass-fed. Our ranchers use unique rotational grazing programs tailored to their environments creating a well-rounded delicious flavor and more fat than your average grass-fed beef. 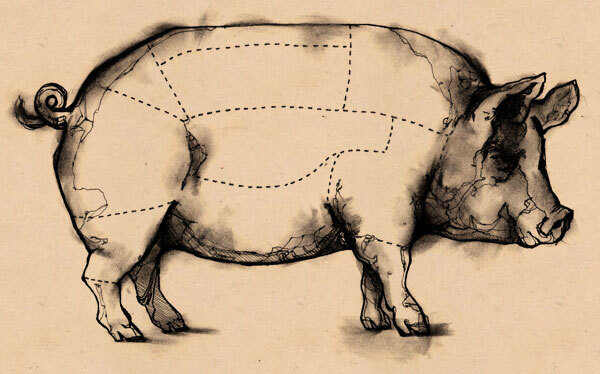 We are the exclusive carrier of Cottonwood Creek Farms pork. These Berkshires are raised outdoors, rooting around the plains and the cottonwood trees. Farrowed on farm without gestation crates, they are always anitibiotic-free and their feed consists of a mix of grains grown on farm and forage. Our pasture-raised lamb comes from Boulder Lamb where their meat lambs are fed a 100% grass-fed diet. 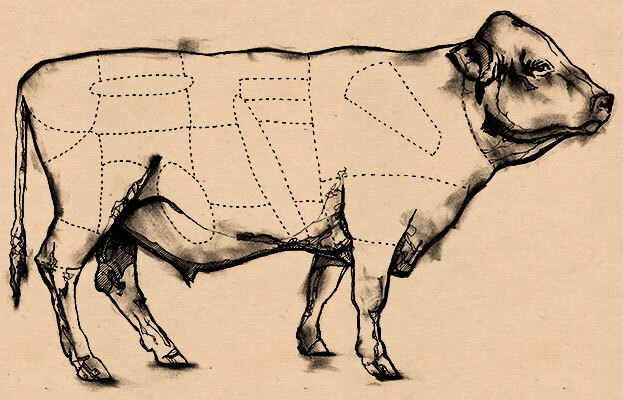 We exclusively source animals that are humanely + sustainably ranched, all from within a 250 mile radius of Denver. Focusing on local ecologies, we believe in facilitating a symbiotic relationship between animal, land, and farmer. Each animal’s diet is tailored to their biology; pigs are omnivorous and cows and sheep eat grass. We guarantee that every animal has access to sunshine, grass, and fresh air for its whole life and is always processed at a small family owned facility. We take whole animals and break them down into steaks, sausages, grind, and prepared foods and broth using 99% of each animal. No boxed meat here. Our beef and lamb are 100% grass-fed and our pork and chicken are pasture-raised and eat an omnivorous diet of forage and Non-GMO feed. Are they antibiotic and hormone-free? Always. They are never treated with sub-therapeutic antibiotics or any growth promotants. Do you have this or that weird part? Probably. 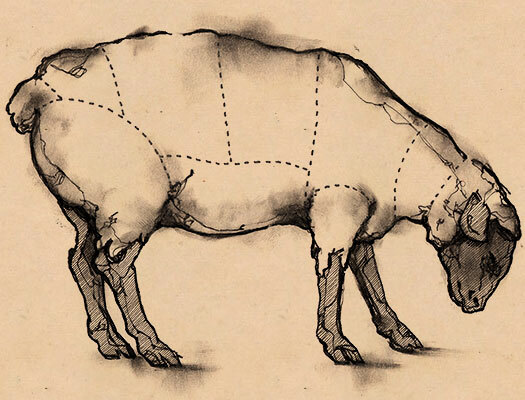 We are a whole animal shop which means that we break down the entire carcass and get all the offal. Sometimes a special cut requires a special order. But we will always do our best to make it happen. We strive to be GMO free. The grain that our chickens are fed is Non-GMO almost all of the time. But we cannot guarantee that there isn’t the rogue time where it’s not. Our pigs and the eggs (both from Cottonwood Creek Farms) both eat Project Non-GMO certified feed when they are not foraging. All of our ranchers cut their own grass for haying in the winter. What about your other products, what else do you carry? We make our own sausages, bone broths, prepared foods, deli meats, bacon, and more. We also carry select dry goods from around the country. What about for Paleo and other special diets? Most of our sausages are dairy, sugar, and grain-free. We offer sugar-free bacon and deli meats. We are accustomed to accommodating many different dietary restrictions. Come in and talk to us. Tell me more about your bone broth. Of course! Our bone broth is made in house with bones from our animals (grass-fed beef and pasture-raised pork and chicken). We use 2 pounds of bones per quart of water and simmer it for 48 hours. We do not add salt or any other vegetables so that our broths are accessible to any dietary restrictions. You can always add extras yourself! Our broth is sold frozen and is $15 per quart.